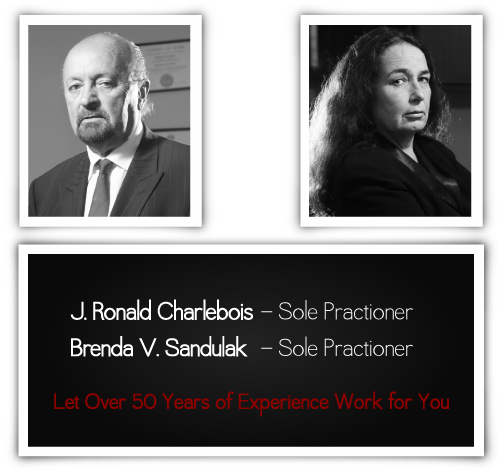 J. Ronald Charlebois and Brenda V. Sandulak have over 50 years of combined experience in criminal law. 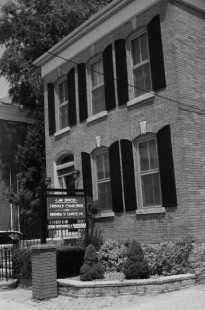 Our lawyers will defend you anywhere in the Niagara Region and throughout the Province of Ontario. At our office, we care what happens to you. We make your problem our problem, and we will work closely with you in regards to your legal needs. Ron and Brenda maintain separate practices but, when the need arises, are willing to work together on your case. The benefit to you is that you have the resources of two competent lawyers to assist in your defence. Our focus is on the end results, and how you are affected. If you are in need of professional criminal defence, contact Ron Charlebois or Brenda Sandulak. We are here to help, 24 hours a day, 7 days a week. We get results!